As we’ve discussed on this site, Lyft is a great mode of transportation to get to and from the airport. Now that you can legally take one of Lyft’s carshares (you can’t legally take Uber yet) to all the neon lights, magic shows and casinos of the Las Vegas strip, you should give it a shot. After requesting a Lyft through their app, passengers should meet their driver at a designated spot in the pickup zone. 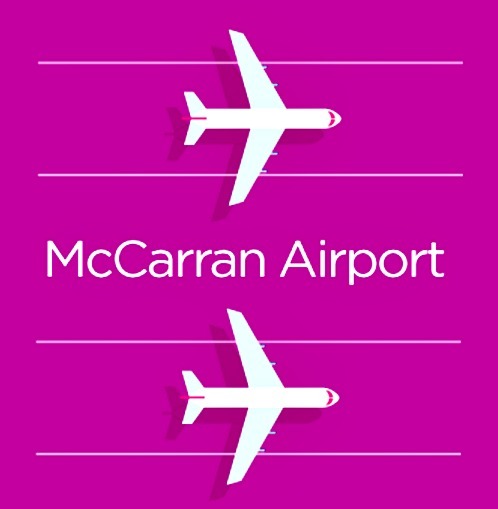 The pickup zone at McCarran is on Level 2M, toward the north end of the parking garage. Lyft is celebrating their win by offering customers $5 off two airport rides with discount code FLYLAS. The offer is valid until April 20, 2016. Five bucks isn’t nothing, but it ain’t much. Why save $5, when you can you can get $20 off by using my STUART12 code? Hmmm? You don’t have to be a math major to know that $50 is more than $5. That’s $45 more you can wager during blackjack or can go toward a couple drinks at the pool. You know what I mean? Don’t forget to tip the dealer (just not with Lyft credit).